David Dalton, 86, Knowlton, died Saturday, Jan. 26, 2019, at Cedar Ridge Elder Services, Mosinee. He was born June 6, 1932, in Knowlton, the son of the late MO and Mae (Hildebrandt) Dalton. He married Sandra Justesen on June 27, 1959. She survives. As a young boy he moved to Mosinee and attended Boulevard School and graduated from Mosinee High School in 1950. He was a member of the National Guards for 9 ½ years, and proudly worked at the Mosinee Paper Mill in the Chem Lab for 44 years. Store in Mosinee for 34 years. He raised sheep on their farm and raised Christmas trees and vegetables and enjoyed sharing many of these things with the grandchildren. After retirement he volunteered for Meals on Wheels and spent 11 years as a helper in the kindergarten in Mosinee. He was a 4-H Leader of the Boulevard 4-H Club. 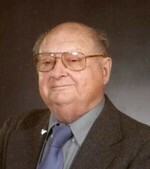 He was also a member of the United Methodist Church and a past member of the Mosinee Chamber of Commerce. Survivors, besides his wife, Sandra, include his three children, David Dalton Jr., Haubstadt, Ind., Christopher (Lisa) Dalton, Mundelein, Ill., and Heather (Lt. Colonel Scott) Matti, presently stationed at Ft. Bragg, N.C.; five grandchildren, Devon, Zia, Maxwell, Josephine and Finnigan; and his in-laws, Gayle (Jerry) Klein, James Schlatterer and Darlyne Justesen. He was preceded in death a brother, Lester (Beverly) Dalton, and in-laws, Betty Schlatterer, Dorothy (Bob) Luehrs and Rod Justesen. Memorial services will be at 3 p.m., Friday, Feb. 1, 2019, at United Methodist Church, Mosinee. The Rev. Gail Ray will officiate. The family will receive friends from 2 p.m. Friday until time of services at the church. Beste Funeral Home, Mosinee, assisted the family with arrangements. Online condolences can be made at www.bestefh.com. The family is thankful for the good care given to David at Cedar Ridge and Aspirus Comfort Care and Hospice Services, and the kindness of relatives, good friends and neighbors. In lieu of flowers, donations in David’s name, can be directed to United Methodist Church in Mosinee or a charity of your choice. To send flowers to the family of David L. Dalton, please visit our Heartfelt Sympathies Store.